Here is a photograph of Perseus, taken on November 12, 2006. It was freezing cold and after 12 images, the Finepix 4700 camera switched off. I guess the accus don't work properly at temperatures below freezing. So I stacked the 12 images together and here is the result. 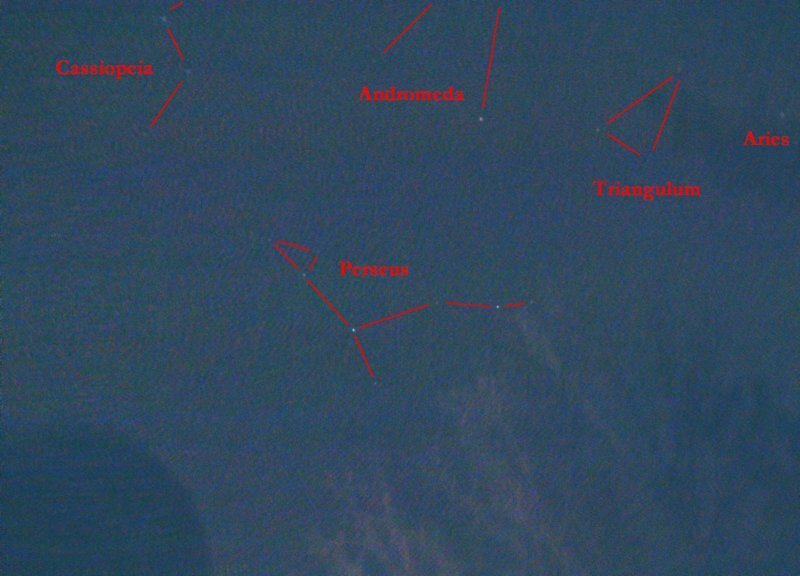 Parts of Cassiopeia, Andromeda, Triangulum, and Aries are also captured. I am in the process of getting a Panasonic Camera (DMZ-TZ1) that can expose up to 60 s (instead of 3s for the Finepix). Hopefully, I get it soon. Taken 11-12-2006.